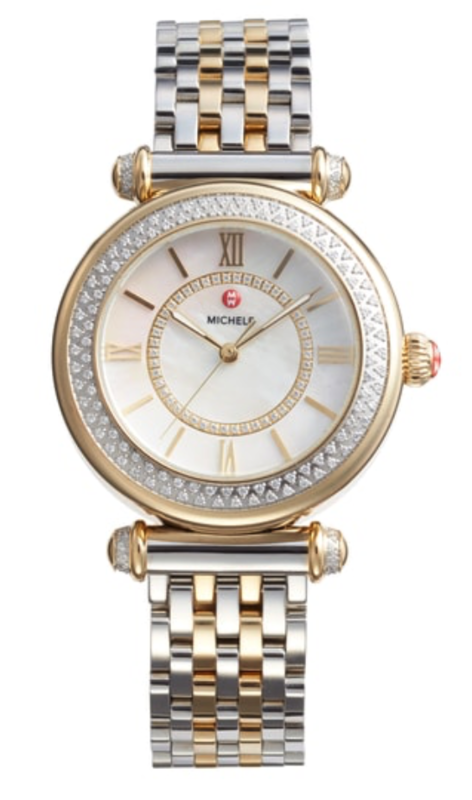 You are here: Home › Shop › Nordstrom Anniversary Sale ~ My Top Catalog Picks! I’m so excited about the Nordstrom Anniversary Sale again this year! I always score a few great deals on NEW FALL clothes and shoes and this year should be no different! I’ve been looking through the catalog and wanted to share the items I have my eye on for when the sale opens Today Thursday, July 12th for Nordstrom Card holders. The catalog represents only a small fraction of the items that will be on sale so I’ll have more picks (hopefully some handbags and more sweaters) once the sale goes live on Thursday! Follow me on Instagram and in the Liketoknow.it app to shop my instagram feed and stories! Don’t have a Nordstrom Card yet? It’s not too late, apply here. Sale opens to the public on July 20th. This looks soft and pretty! 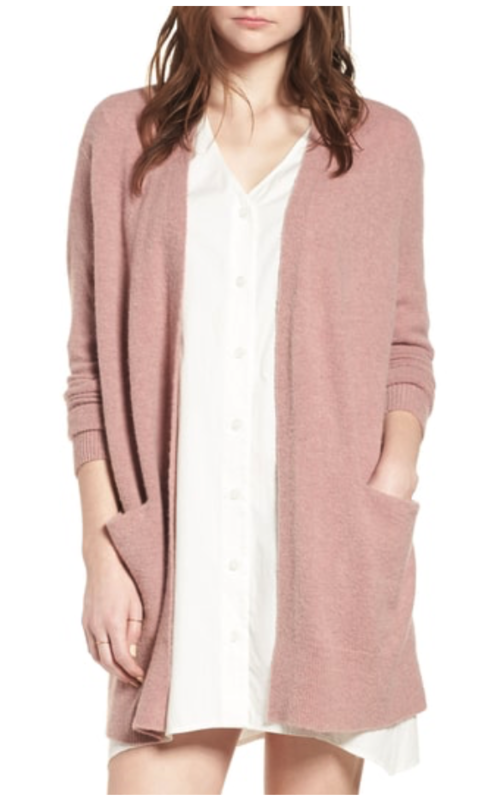 I really don’t need another cardigan but I don’t have one in blush so I might get this. Also in Navy, brown & white. 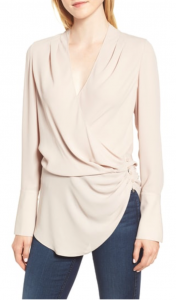 I’m torn between the stripe and the blush versions of this blouse. It looks like it would be really flattering on many figures. Also in blue. 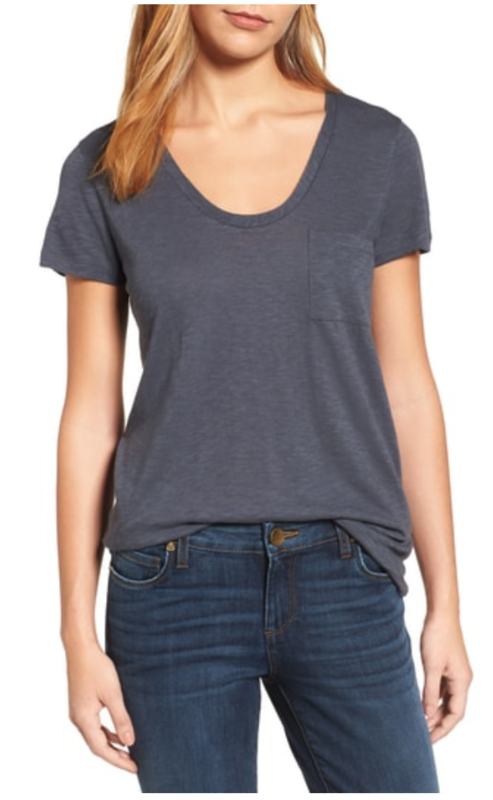 I already own it in the grey color shown and it’s one of my favorite tee shirts so I’ll probably pick up a white one. 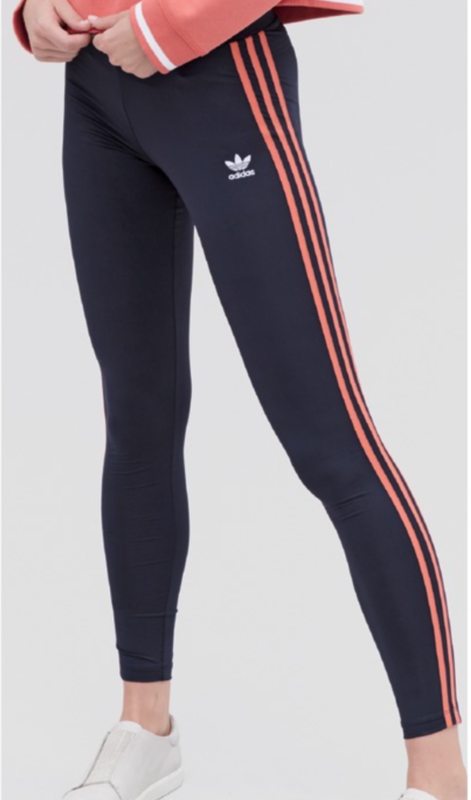 Comes in 10 color/stripe options and in regular and petite. I was obsessed with blush pink this past spring and I generally love Eliza J dresses. I really like the fringe hem detail. This is so pretty and feminine! This looks really cute but I’ll have to try it on to see if I love it. 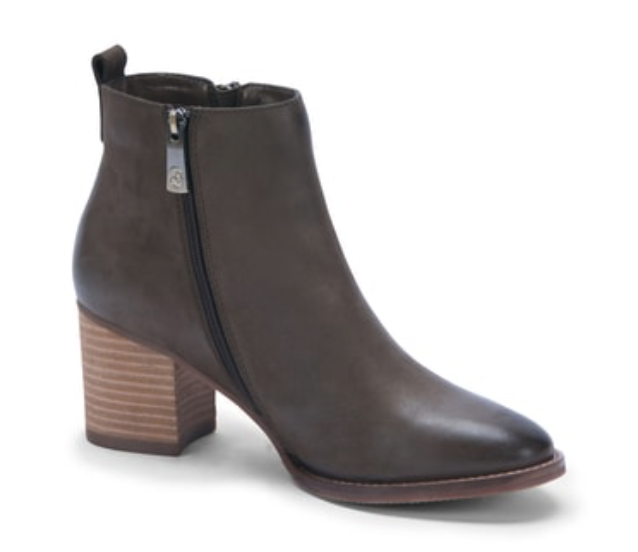 I think it’ll be great this fall with jeans and booties! I’m definitely getting these since I do “need” a new pair of peep toe suede bootie/sandals and I love the perforated suede and stacked block heel! Also comes in black & tan. 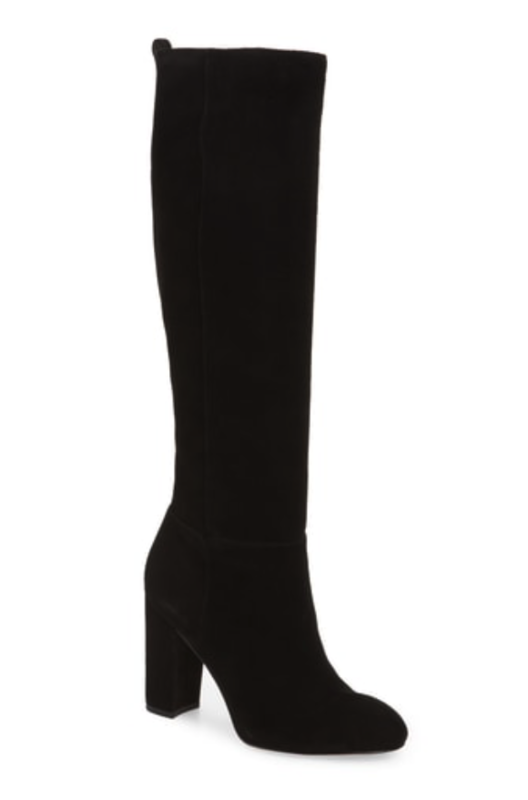 I won’t be getting these but I’m including them for those of you who missed out on the Sam Edelman Camellia boots last year and regretted it. Also in tan & red. 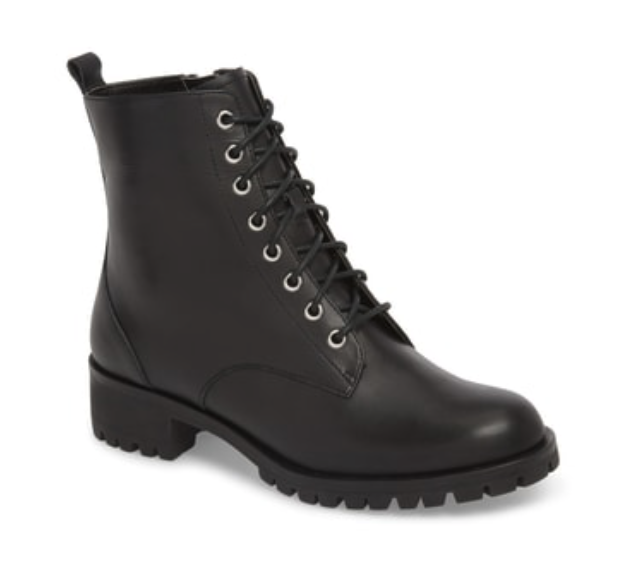 I’ve been curious about the Blondo boots for a couple of years since they’re so cute but also waterproof which comes in handy here in New England! I need to try them on to see if they’re comfortable but the heel height looks right and I love them in this grey and the tan suede too! Comes in 4 colors. 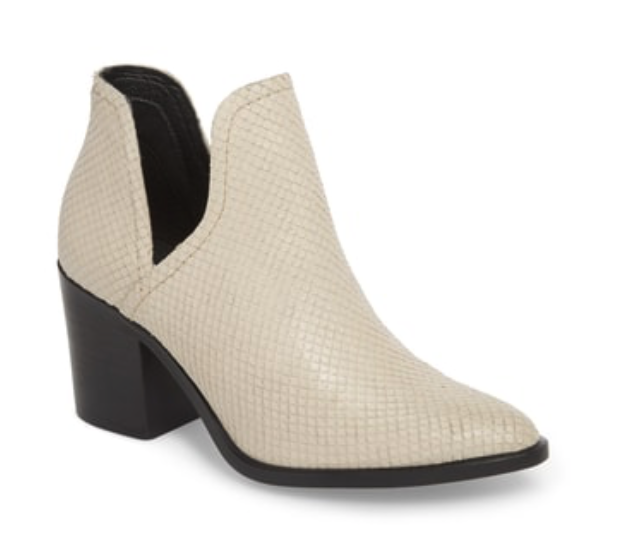 I’m obsessed with these booties in the white snake print! I can’t imagine where I’d wear them, but they’d be so fun to have!! Also in black and tan. I’ve been looking for a tough looking black bootie for a few years so these might fit the bill. 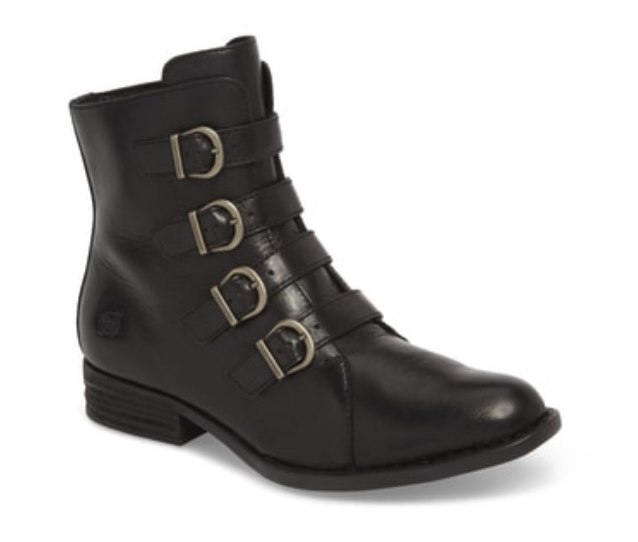 I love all the buckles and the heel height looks comfy for everyday wear. Also in brown. These could also fit the bill for those “tough” booties I’ve been looking for. I wore out my Steve Madden combat boots a couple years ago and have been looking to replace them ever since. These will look great with jeans, leggings, & skirts! 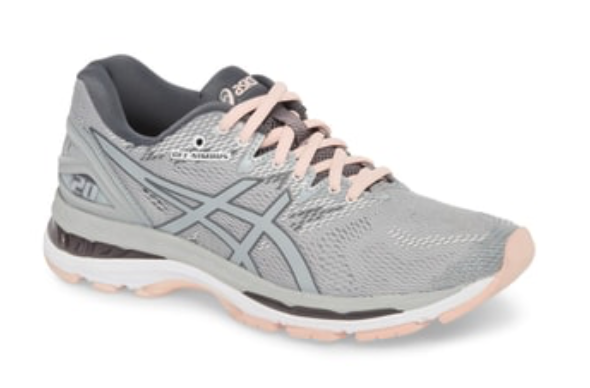 These are my all-time favorite work-out shoes! I’ve worn through 3 pairs in the last 10-15 years (they really last) and I need a new pair. I like the grey the best but they also come in black & blue. These are so cute and retro! YAY! They have the NuFace again this year!! 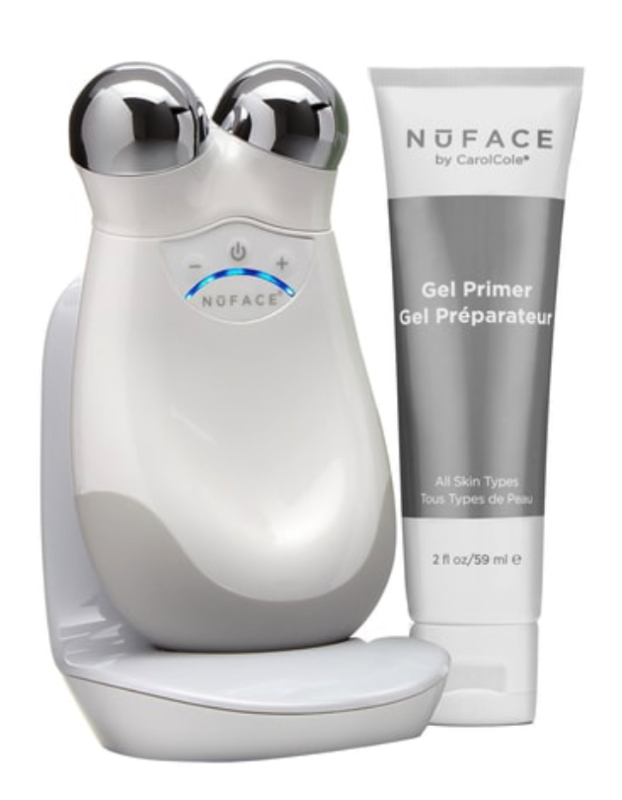 My favorite and most effective at-home anti-aging tool (that I talk about constantly). If you haven’t gotten one yet, now’s the time! 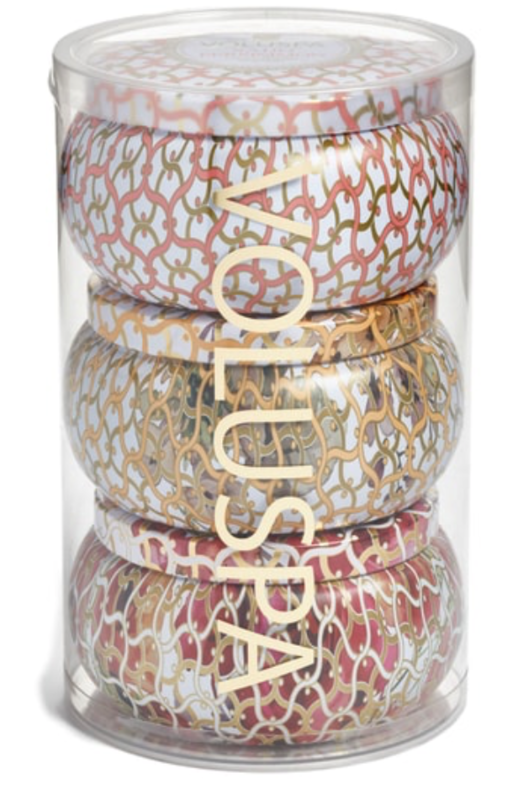 These would be great to have on hand for hostess gifts with the holidays just around the corner! 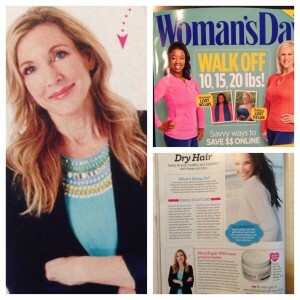 Have you looked through the sale catalog yet? If so what are your favorite items this year? FTC: Not Sponsored. All opinions are 100% honest and my own. Links are affiliate links. If you click a link and buy something I receive a commission for the sale. It doesn’t cost you any extra and you’re free to shop without using my links. If you do use my affiliate links, I appreciate your support! 4 Responses to "Nordstrom Anniversary Sale ~ My Top Catalog Picks!" Angie, I’m so glad that you’re doing recommendations for the Nordstrom Anniversary sale! I started shopping online at 3 AM! Even starting that early, three items I wanted were sold out by the time I was ready to check out ,which was about 45 minutes after I first started shopping. I couldn’t believe it! Still, with your good tips, I’m going to be placing another order this afternoon! Luckily, you’re about the same size as I am, so it really is helpful for me. 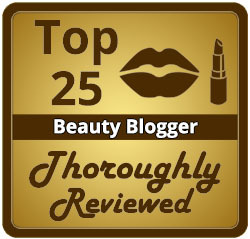 Thanks again, and keep us updated on your favorites! Hi Laurie! I’m so happy you got your order placed and are able to shop more. I found that even if an item shows as sold out at first, it may just be a system glitch so it’s best to try back a little later. I was shopping around 9:30 last night and everything I clicked on came up as sold out… I couldn’t believe it could all be sold out so fast so I waited about a half hour and like magic everything was back in stock & I was able to order!! Good luck! I was planning on getting the mini nu face thinking it does the same thing. But for $20 more I can get the larger version during the nordstrom sale. do you think it is a no-brainer to spend the $20 more for the larger? I really just want it for the eye area and forehead area. If I went with the larger would I need to spend additional money to get the smaller attachment for the eye area? I definitely think it’s worth the extra $20 to get the Trinity. If you do decide to get an attachment later they do cost more.